"The Comic Book Guy is dead, but not gone -- and definitely not forgotten. After the eulogy delivered by a special guest and comic book legend (Nuff Said! 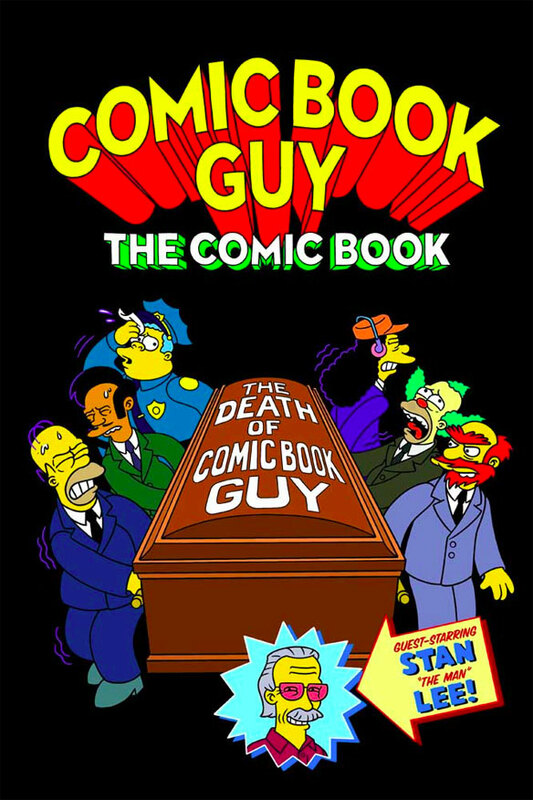 ), it's time for Comic Book Guy's last will and testament to be read, and with the portly proprietor's passing, a deep void is felt by everyone in Springfield and beyond. Who will inherit the Android's Dungeon? What will become of the virtual world of blogs and message boards without the snarkiness of Comic Book Guy's irreverent and often unwanted pop culture criticisms on the Internet? Brace yourself for the gathering storm of The Dork Age!"